Village pub & Inn with a contemporary twist. For lovers of good food & drink. Muddy boots and paws welcome too! Pub & Kitchen in Cassop is a useyourlocal.com member. The pub has a beer garden, it has a cocktail bar. Pub & Kitchen gives a warm welcome to dogs and their owners. The pub is a family friendly pub, it serves food. 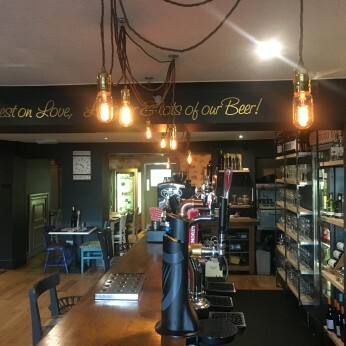 Pub & Kitchen has a function room that can be booked. The pub has an outside area, it serves real ale. Pub & Kitchen has a real fire. The pub has free WiFi. Happy Easter to you lovely lot. This Easter Sunday all pre booked tables will get a starter & a main for £11.95! Simply give us a call on 01429 598 008 and we will get that bunny to book you in! Treat your partner to a free glass of Prosecco on all pre booked tables this Thursday. Give us a call on 01429 598 008 and tell us you are feeling “fizzy” and we will book you in.